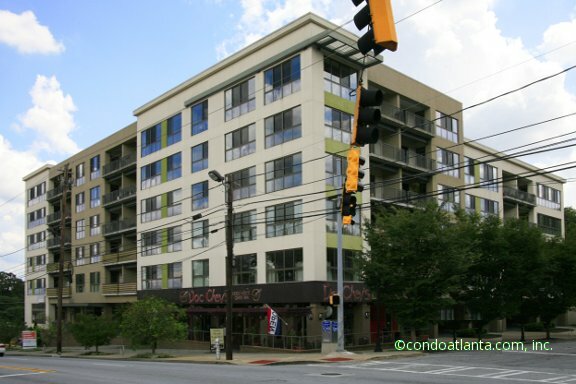 Oakland Park is a community of soft loft condominium homes with controlled access covered parking and building entry located across from Atlanta’s Historic Oakland Park, near the Atlanta Zoo, Historic Grant Park, Cabbagetown, Reynoldstown, Sweet Auburn, Little Five Points L5P, the Krog Street Market and Freedom Parkway. Love living near and the Atlanta Beltline, with ready access to local eateries and restaurants. Commuters will appreciate convenient access to I-75 and I-85. Community amenities include a rooftop deck, fitness gym, and controlled access security. Commuters will appreciate access to travel routes along Memorial, and I-20. Inman Park, Kirkwood, Candler Park and the Old Fourth Ward combine historic area neighborhoods and parks with easy access to the Heart of Modern Metropolitan Atlanta! Walking communities including the lovely development of lofts, condominium homes and townhomes, village style shops and eateries, fabulous art and music festivals are all part of the living landscape that make these areas sweet places for many residents to call home. Love living in Historic Oakland Park near the Atlanta Beltline, Lake Claire, Oakhurst, Little Five Points L5P, Edgewood, Kirkwood, Cabbagetown, Sweet Auburn, the Historic Old Fourth Ward, and Freedom Park!